One of the most lucrative deductions for many years has been the deduction for state and local taxes (SALT). This is especially true if you live in California, New York, or New Jersey, all of which have high taxes and high property values. Previously, the SALT deduction allowed a nonlimited deduction for state and local property taxes and either state and local income taxes or sales taxes. Unfortunately, this has completely changed due to the new Tax Cuts and Jobs Act (TCJA)… sort of. There is still a SALT deduction available for tax payers, but that deduction has been reduced to a maximum of $10,000. 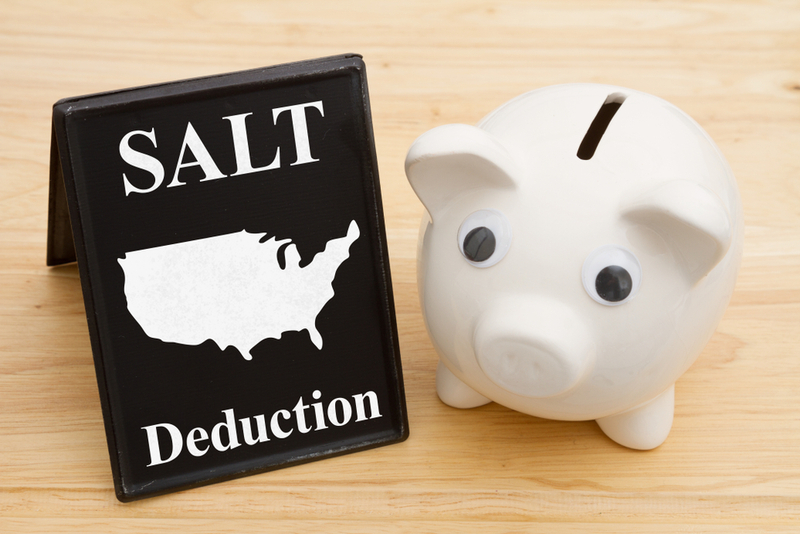 That may still seem like a substantial deduction but considering that the average SALT deduction taken in California was $17,148 before the new tax laws went into place, this change will certainly have a great effect on taxpayers. Let’s say that you are a married couple who files jointly in a high tax state like California. You paid property taxes of $12,000 and state income taxes of $18,000 in 2018. Due to the new SALT deduction cap, you will only be able to deduct $10,000 of your $30,000 in state and local taxes. However, your new standard deduction has now been increased all the way to $24,000. This means that unless you have another $14,000 in other itemized deductions, like mortgage interest or charitable donations, then you will not be able to use the SALT deduction at all and will have to take the standard deduction. The silver lining in this cloudy situation is that the TCJA put in place other ways to make up for these losses. Between the decrease in income tax rates, doubling in the estate tax deduction, and business-sided tax reform, many of the middle to higher income people affected by the SALT deduction cuts should be able to recover most, if not all, of their lost deductions.